Alibaba’s finance arm is one of the secrets of the Chinese e-commerce group’s success. Yet investors in the listed Alibaba Group don’t control a single share of the business, and can’t reliably estimate its worth. That puts them at a disadvantage to a select group of insiders with a seat on both sides of the table. The business which was recently renamed Ant Financial houses the Alipay payment processing system and a controlling stake in money market fund manager Tianhong. It plans to take on Alibaba’s portfolio of loans to small companies, and even launch a bank. Alipay makes up the lion’s share. It gets a commission of around 0.18 percent on every dollar it processes on Alibaba’s Tmall and Taobao marketplaces, according to calculations based on figures in the group’s public filings. That might sound small. But Alipay’s significance for Alibaba is huge. The listed company only retains a small share of the value of goods sold via its websites as revenue – 2.3 percent in the latest reporting quarter. At a 0.18 percent commission rate – a figure the company does not confirm – fees to Alipay would amount to nearly a quarter of the group’s cost of sales. Despite this interdependence, the listed group doesn’t own Ant Financial. Instead, it gets 37.5 percent of the financial unit’s pre-tax profit, plus 2.5 percent of the value of its outstanding loans each year. In the twelve months ending June 2014, Alipay contributed 9.4 percent of Alibaba’s total operating profit. And if Ant Financial is sold or lists on the stock market, Alibaba gets a payout of up to 37.5 percent of its value. What would that stake be worth? At this point, the fog descends. Credit Suisse, an underwriter of Alibaba’s initial public offering, estimates the financial business could be worth over $50 billion by 2016, suggesting a windfall of up to $20 billion for the listed group. But outsiders lack some key numbers. Two-thirds of the payments that Alipay processes don’t come from Tmall or Taobao. It’s not clear how much Alipay makes on those transactions, what proportion comes from funds flowing in and out of the group’s $87 billion money market fund, Yu E Bao, or what kind of profit margins the asset management business enjoys. Even a $20 billion windfall would be just 7 percent of Alibaba’s current market capitalisation, so it’s easy to think Ant Financial’s value doesn’t matter. Yet it does, for two reasons. First, the relationship is a potential risk as well as an opportunity. Imagine that Alipay suffered a data breach, or that Tianhong – which has come from nowhere to become the manager of China’s biggest money market fund in little over a year – failed to pay investors in a timely manner. The resulting reputational fallout could quickly ping back on Alibaba’s e-commerce business. The bigger issue is that not everyone is equally in the dark. Ant Financial’s owners include unnamed senior figures from Alibaba’s listed company, as well as founder Jack Ma. 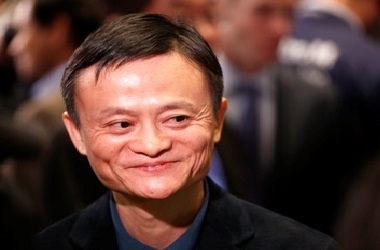 The Alibaba chairman plans to reduce his stake in Ant Financial over time in order to bring it into line with his stake of around 8 percent in the listed company, partly by giving away shares to employee stock plans. But that hasn’t happened yet – and as time passes the value of his holding in the unlisted business rises. That misalignment is perhaps the most troubling thing about the relationship, because it’s possible that what benefits Ant Financial may not benefit Alibaba. Say the listed group cut the commissions it charges sellers on its Tmall site. Investors would see less revenue. But Alipay’s take wouldn’t necessarily change. Alibaba is investing in lower-margin businesses to attract consumers. Profitability fell sharply in the last quarter. But as long as more stuff gets bought, Alipay should still be better off. With higher volumes, its own profitability ought to increase. Much of this was clear when Alibaba floated in New York in September. As the company grows, however, so does the room for conflicts. Alibaba’s top executives on Nov. 4 announced that their philosophy at Tmall and Taobao is to prioritise transaction levels and customer numbers over profitability. That’s great for Ant Financial, but a poor signal for Alibaba’s earnings. The trouble is, with such skimpy disclosure investors don’t see the full picture, and given their skewed incentives, the executives with shares in both have little reason to end the mystery. Alibaba, the Chinese e-commerce group, said that its payment affiliate Alipay processed $9.3 billion of transactions from retail sites Taobao and Tmall during its “Singles’ Day” online retail promotion on Nov. 11. Alipay is owned by Ant Financial, an affiliate of the New-York-listed Alibaba Group. Alipay takes an undisclosed percentage of each transaction it processes on behalf of the listed company. Alibaba receives 37.5 percent of Ant Financial’s pre-tax profit, and would receive a payout of up to 37.5 percent of the division’s equity value if Ant Financial were to list on the stock market. It also has the option to take an equity stake of up to 33 percent. As well as Alipay, Ant Financial owns a 51 percent stake in asset manager Tianhong, which manages a 535 billion yuan ($87 billion) money-market fund called Zeng Libao. The fund is sold directly to customers of the online payment division through a platform called Yu E Bao. Alibaba agreed on Aug. 12 to transfer the bulk of a 14.6 billion yuan portfolio of loans to small- and medium-sized enterprises to the financial division, in return for an annual fee equivalent to 2.5 percent of the loan balance. The transfer is still awaiting regulatory approval. Ant Financial is 58 percent owned by Junhan, a vehicle owned by Alibaba founder Jack Ma and employees of the financial division, according to the group’s pre-IPO filing on Sept. 15. The remainder is owned by Junao, a vehicle whose owners include senior Alibaba employees.